Remember every last-Friday-of-the-month, at 10:00 AM? 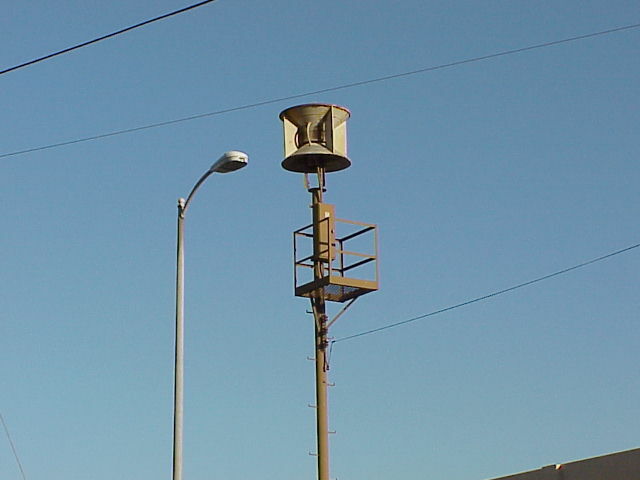 These sirens used to wail away. There are still many of these around the San Fernando Valley, power removed, but servig as a reminder of another time. These must be about 50 years old now. Why are some still there? Will they every be used again? Below is a map of air raid sirens that I have spotted in my travels around the Valley. There are likely many more. Many are probably already gone. 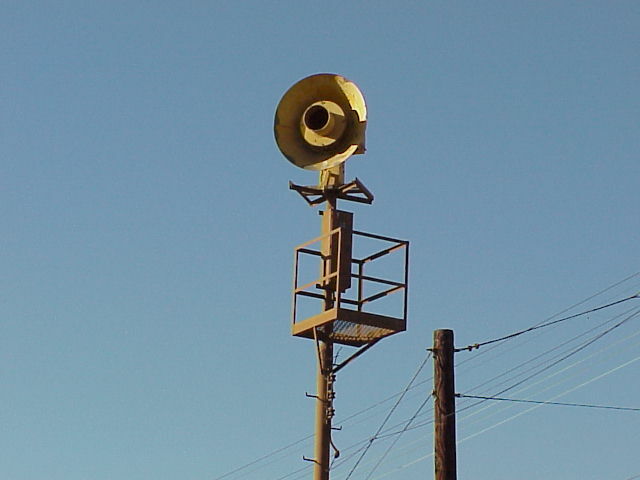 = Mounting mast only for rotating, directional siren.